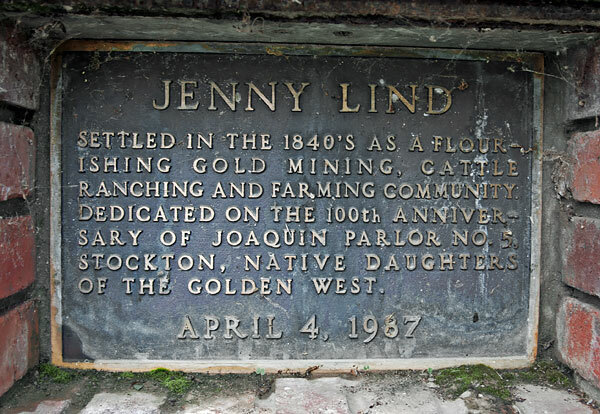 Jenny Lind, located on the north bank of the Calaveras River, was a placer mining town as early as 1849. Most of the placer mining was done along the hillsides above the river - later the river was mined with dredgers. In 1864 the population was said to be 400, half of them Chinese. 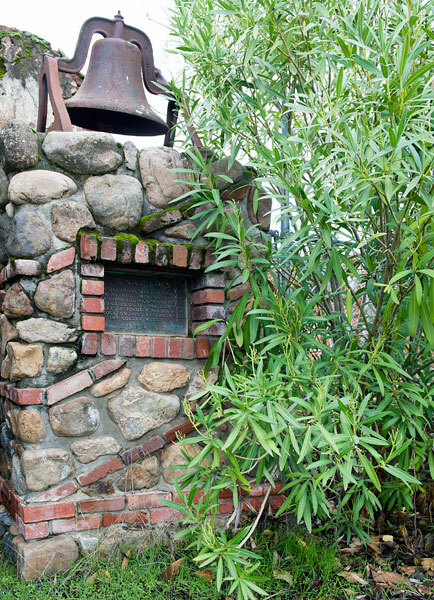 We were unable to locate a California historical landmark plaque for Jenny Lind, but we did find a small marker erected by the Native Daughters of the Golden West to commemorate the 100th anniversary of Joaquin Parlor No. 5. Settled in the 1840's as a flourishing gold mining, cattle ranching and farming community. Dedicated on the 100th anniversary of Joaquin Parlor No. 5, Stockton, Native Daughters of the Golden West.